Long days and nights spent rocking an unsettled baby or child in a rocking chair may soon get a million times better. 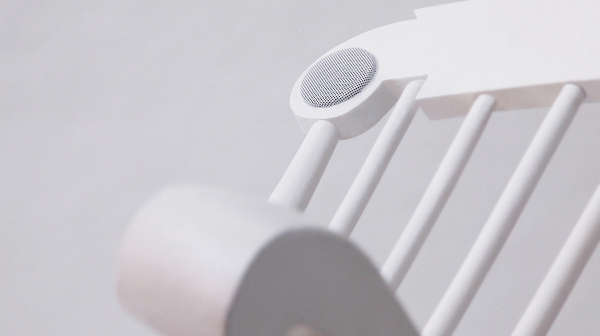 Could this be the rocking chair of the future? This is the iRock – which, by the way, is exactly what I’d be saying to myself if I had one of these. 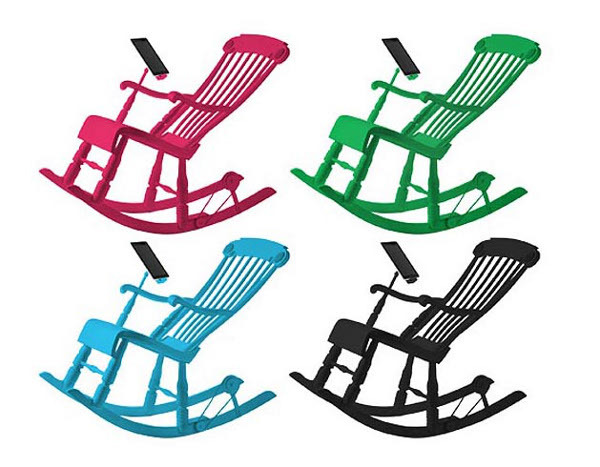 It looks like a traditional wooden rocking chair (at least if you don’t choose the hot pink version) but it has a few important added extras. There’s the docking station on the right armrest, suitable for iPads, iPods and iPhones (and even includes an iPhone 5 adapter – they’ve thought of everything). There’s the discreet, built-in speakers on the headrest. And don’t forget the generator, which stores the energy you create by rocking the chair and uses it to power your device! Amazing, right? For the time being, it’s still in production. 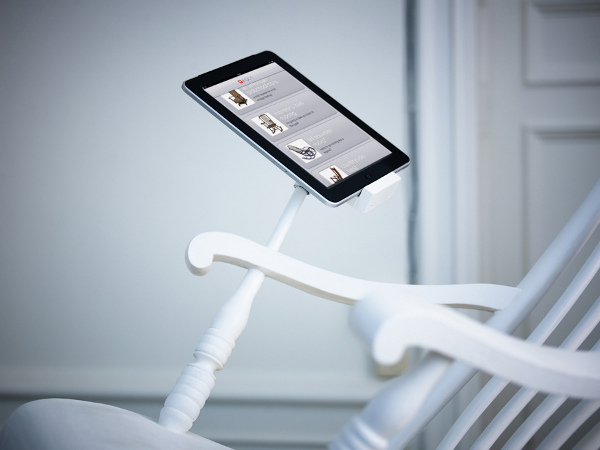 It is the brainchild of Zurich-based Micasa LAB, which claims that one hour of steady rocking will recharge an iPad 3 to thirty-five per cent battery life. So now you can put your feet up for an hour, knowing it’s NOT a waste of time and energy. Micasa LAB expect the iRock to be priced at approximately €1300. We’ll keep everyone posted on this one.